Hey everyone! It's Deanna here from A Primary Owl! 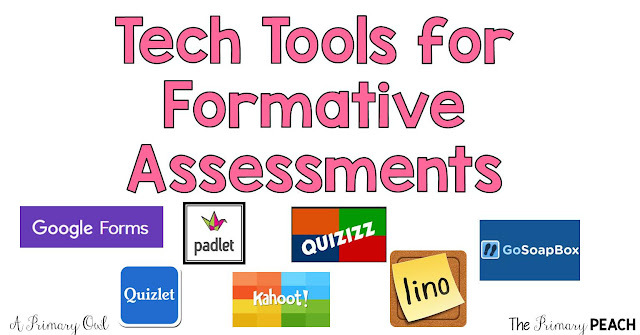 Today, I am talking formative assessments....this has been a huge push in my school this year. We have been focusing on Formative Instructional Practices like posting clear learning targets for students, making sure students know their learning targets and regular formative assessments to drive your instruction. So, I want to share with you 5 quick ways you can check for understanding during or after your lesson. 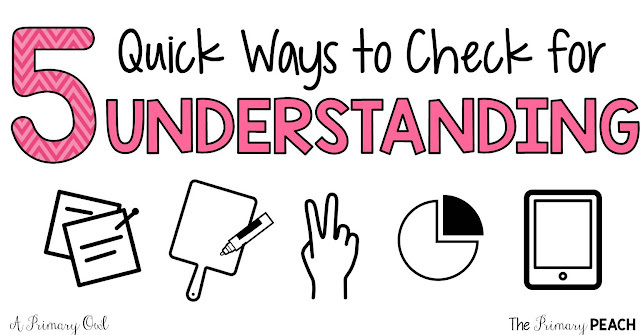 You probably already use these strategies, but do you view at them as formative assessments?? 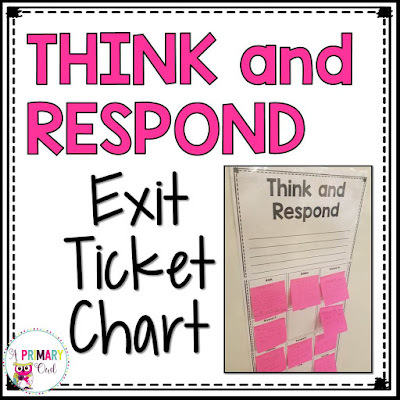 Exit tickets are an excellent way to check for understanding. But you don't just have to wait until the students are "exiting".....you can have students write what they remember from the lesson the previous day. 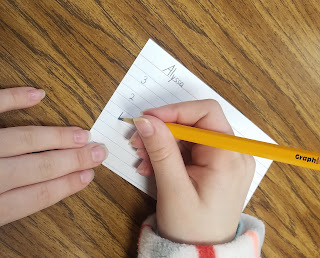 During the lesson, stop and have students jot down their ideas. I love using index cards for this! I have tons of them and they are super cheap. It takes just few minutes to pass them out and it is easy for students to write on the lines. I love white boards. We use them constantly in my room during our lessons. 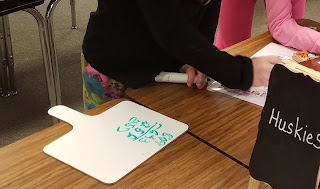 I recently felt like I won the lottery when I was in my local Dollar Tree store....they had these dry erase boards with handles only $1.00 each!!! I literally felt like doing a happy dance right there in the aisle! We have used them tons during math and also when we are reviewing multiple choice items for quizzes. I have them write their answers on their white boards and show me. I can quickly tell who didn't get the correct answer and who needs to look around for help before answering. I can pull those friends into a small group later for reteaching. Seems simple but we do a quick check on our fingers all the time. I say, "Give me a thumbs up if you understand, thumbs down if you are still having trouble, thumbs in the middle if you still need more time." 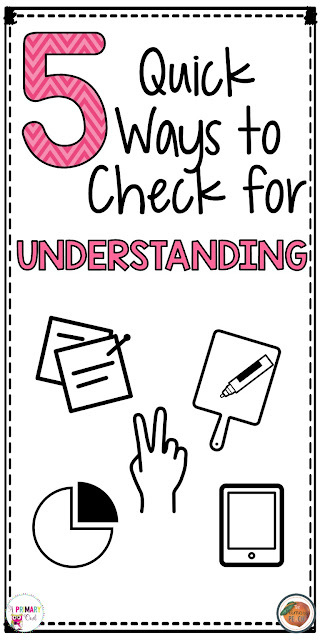 Another way I use this is when we watch a BrainPop video, we do the little quizzes together and I have my students show one finger for answer A, two for answer B, etc. Easy and no prep or papers to print! 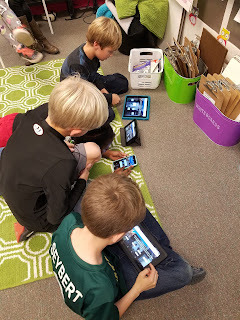 Finally, my favorite way to check student's learning is using technology. Here we are playing Quizlet Live, our new favorite obsession! These are just a few of my favorite tech tools for keeping students engaged and evaluating their learning during the unit we are working on.